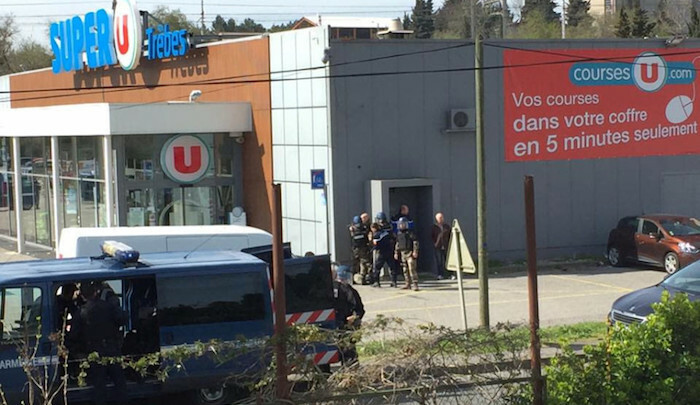 Police later stormed the supermarket in the small town of Trebes and Interior Minister Gerard Collomb said on Twitter that the attacker had been killed. A source at the Interior Ministry said two had died at the hostage-taking in Trebes. “It is a provisional assessment as it could unfortunately get worse. Three people are wounded, including one of them seriously,” the source said.